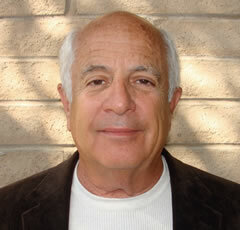 Phillip Willcher is a Master Hypnotherapist that has been working with hypnosis and the mind for over 40 years now. Phillip began his journey to harness the powers of the mind in the 1960s. Over the last 40 years he has had the opportunity to work with leaders in the human potential movement, including Jose Silva, Richard Bandler, Warner Erhart, Michael Rosenberg and many others. He opened his first therapy practice in the late 1960s. Since then he has worked with over 10,000 clients, helping them to use the untapped power of their own minds to overcome problems and lead a better life. Phillip's practice has included medical hypnosis, dental hypnosis, therapeutic hypnosis as well as NLP and related disciplines. He has also lectured and taught workshops in hypnosis, spirituality and emotional growth since the 1970s. Phillip has worked with corporations as a mediator, facilitator and hypnotherapist. On 1 August 2011 he became the new President for the IAPCH where he hopes to use his influence in the global hypnosis and hypnotherapy community to raise the average standards to impressive new levels. Phillip still runs a thriving hypnotherapy practice in San Rafael, Marin County, California, USA. David W. Taylor trained as a Clinical Hypnotherapist in 1988 and set up his therapy centre in Perth in Scotland .A few years later, he opened his second office in Dunfermline. Over the years he continued adding to his training and added Analytical Hypnotherapy, Hypno Healing, Stress Management, NLP and much more. David has trained and worked with many of the top names in NLP and Hypnosis, such as his friend and mentor Ormond Mc Gill, Jerry Valley, Chuck Mignosa, Paul McKenna, Igor Ledochowski, Richard Bandler, John La-Vale, Tom Silver and more. David is still on a constant search to extend his knowledge and experience. David is also a Master Practitioner and Trainer of NLP. In addition to his therapy clients, David works with many athletes at world championship and Olympic level, as well as Corporate clients. 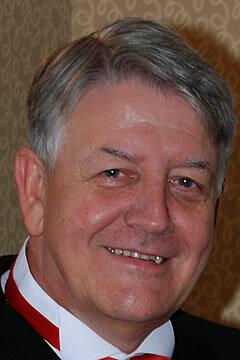 He also provided training and supervision in Hypnotherapy, NLP and Stress Management in the East of Scotland. David is committed to improving standards within Hypnotherapy with better training and supervision and increasing the professionalism within the industry.